Open Channel: Let's Dish About the Oscars! 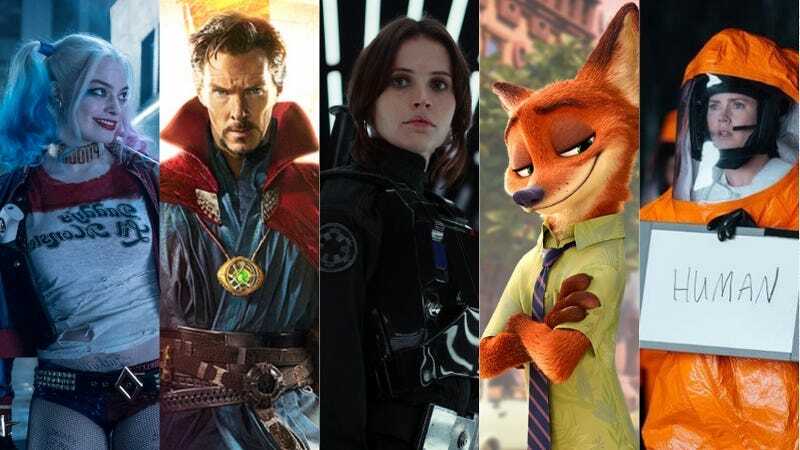 The 2017 Oscars are tonight, and while scifi and comic book fans didn’t get everything they wanted this year, there are some cool nominations that are worth getting psyched about. What are you hoping takes home the trophy this time? And just how pissed are you that Deadpool got snubbed? Arrival is one of the big contenders for the 2017 Oscars, getting nominated for Best Picture, Director, and Adapted Screenplay, among others. Zootopia, Moana, and Kubo and the Two Strings are all up for Best Animated Film... they’re all fantastic and any of them deserve to win. Rogue One has a couple nominations for Visual Effects and Sound Mixing, while Doctor Strange has picked up a nomination for its dynamic visual style as well. And yes, even Suicide Squad is on the list this year, with a nomination for Best Make-Up and Hairstyling. You can check out more of the nominees on our list. Of course, La La Land is expected to clean house this year, having previously done so at the Golden Globes. I have a background in theater and opera, and I’m a huge fan of musicals (Singing In The Rain is one of my favorite films). That being said... I think La La Land is pretty overrated. I thought Ryan Gosling lacked charisma and the songs did nothing to serve the story. I’m definitely a woman on an island, especially among my theater friends, so I’m crossing my fingers I’ve got at least one friend within the io9 community. Anyway, let’s dish!